Review: I Love it! Even though I was out of town it came super fast will definitely Order from here again. Review: thanks again for the great hair and customer service is excellent,everyone loves the hair and will order very soon,thank you soooooo much! Review: I am extremely impressed with this 360 frontal! I have washed and dyed it and there is absolutely no shedding. The hair is very soft and excellent quality. The hair didn't have a smell either which I'm happy about. Accurate description and very nice once installed as you can see from the pictures below. Will Defo be ordering and recommending this seller. Excellent communication from start to finish, kept me informed every step of the way. And my parcel was delivered with 3 days!!!! Review: This is best straight frontal i have got ! This 360 lace frontal is everything. it is full..very versatile and the hair is soft and super manageable. everyone thinks my hair is real lol. I bleached the knots a little more for a realistic looking base and Co-Washed it prior to install, washed with purple/silver shampoo & tinted the lace with black tea. The Frontal has lace around your head and the hairline is perfect, also have lace and baby hair in the back that really what i need ! natural look than other 13*4 or 13*6 frontals! u must try! 2 weeks on & I absolutely love the frontal. So versatile! I am really happy. Best Frontal I've ever had. Doesnt shed or tangle up either so far.You just made yourself a loyal customer! Review: This hair is the best I've ever had. I've always been skeptical about ordering hair online and I've been missing out. The quality is wonderful do soft and easy installation, the customer service was great Gary called me and the call was unexpected but I was pleased he reached out to see if I wanted a faster shipment. The shipment was faster than I expected and I want to order more from this supplier. Can't wait for the next piece. Thank Gary for making this a great experience for me!!! Review: The frontal came fast and I am very satisfied. Very soft, no smell and the seller's communication was good. Review: Hair was pretty good. Will order the 360 frontal again and next time I will color it to see how it does then. But right now the hair is keeping up really well. It's not sewn on I did make it as a unit and it looks pretty natural to me. Review: Excellent frontal ! Can't wait to install. I love it. They kept in contact with me everyday & shipping was SUPER FAST!! Extremely recommended!! Review: jast shipping just take about 2 days receive it.the knots are bleached,and lace size is correct.Very nice wavy.I used it and wash it ,the curl is still hold and so soft .don't meet any tangle or shedding.very good quality,real 7A grade hair.Customer service is also awesome,I will order again. Review: The seller was very helpful in making sure I received my hair for my event. It took 3 days as they said it would take when I received the hair it was soft and nice. Minimum smell but after I washed it was perfect and maintained it curls. Absolutely no shedding even after washing it twice and bleaching the knots. Thank you so much . 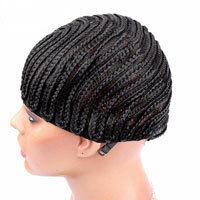 Review: This one for my customer who love it when she got it.We receive the 360frontal today. the hair is natural straight ,and the hairline just like natural hairline OMG...after she installed it will put picture again, Thank you lyn! Review: "I ordered this hair Thursday and it came in the mail today and it's MONDAY !! Shipping was very fast.I have ordered hair from here before but never has it came that fast. 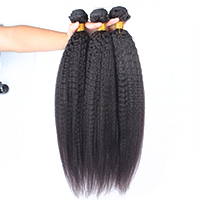 The hair is soft and is true to its length which I got 10inches.The hairline is very natural have been plucked ." Review: Honest opinion! This hair is amazing!!!!!!! Shipping took about a week and a half but it was well worth it. I contacted the seller and asked her to rush it for me to have it by the weekend and she did. Customer service is AMAZING. She even called me after I received my order to make sure I was happy with the product. I love this store they're really something special. My new favorite vendor. Review: This 360 lace frontal is everything. it is full..very versatile and the hair is soft and super manageable. everyone thinks my hair is real lol. I bleached the knots a little more for a realistic looking base and CoWashed it prior to install, and curl pattern bounced back. washed with purple/silver shampoo & tinted the lace with black tea. 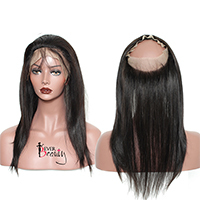 The Frontal has lace around your head and the hairline is perfect, also have lace and body hair in the back that really what i need ! Review: First time to use the 360 frontal,Very easy and fast delivery. Communication was great, hair looked and felt amazing.after passing the curling iron in it it looks great, no shedding is , that's a plus. 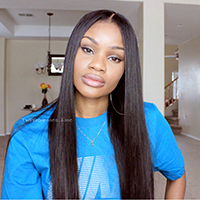 Review: "I over love my frontal! It came in the time it said it'll arrive. Seller communicated well with me. Great experience had to order again"
Review: Hair came quickly! I love it! It's really soft!! Communication with the seller was great. She even showed me a picture of it before she shipped it off!! Review: Lord have mercy!!! I am totally in love with this hair. It's soft silky didn't have a corn chip smell. The inches seem a lil longer although but maybe it's cause I'm short. I have little to no shredding. I washed it and it just curled right up. Just how I suspected and I mean beautiful curls. I want to thank the seller because she was there letting me know what was going on with my order. And mind you now I only used my frontal a bundle and two strips of my second bundle and still have hair left over. Will definitely order AGAIN!! !